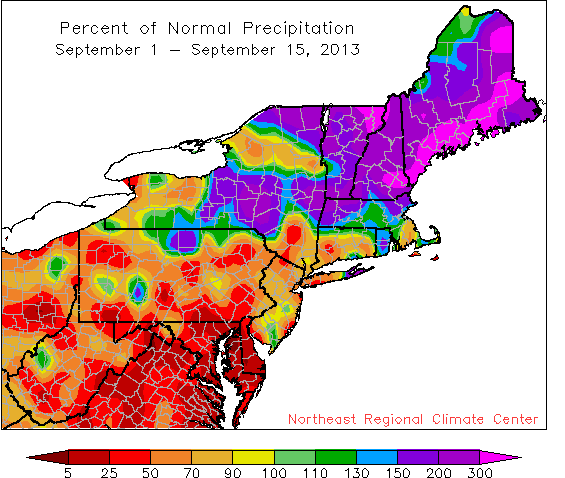 September has been really dry or really wet, depending on your location. While the northernmost Northeast climate sites tended to be wetter than normal during the first two weeks of September, the southernmost climate sites were drier than normal. Of the 35 sites, 22 received below-normal precipitation while 13 reported above-normal precipitation. 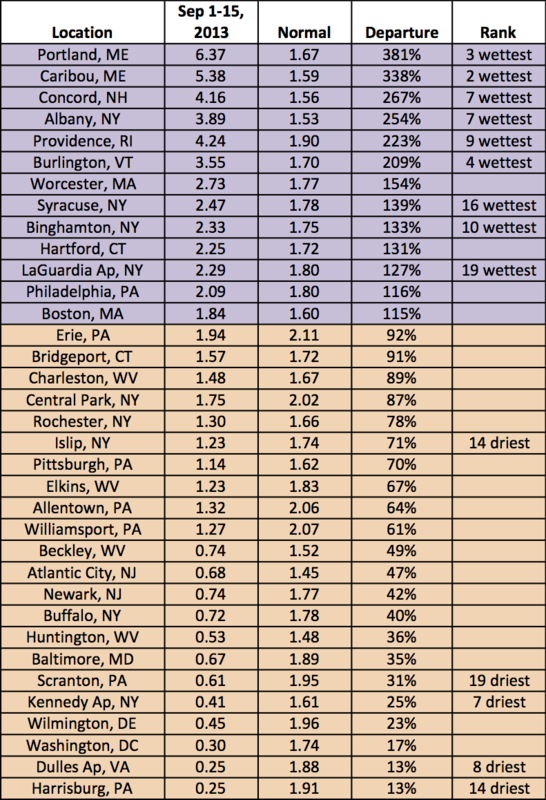 Nine of the sites ranked the first two weeks of September 2013 among their top 20 wettest while five of the sites ranked it among their top 20 driest. 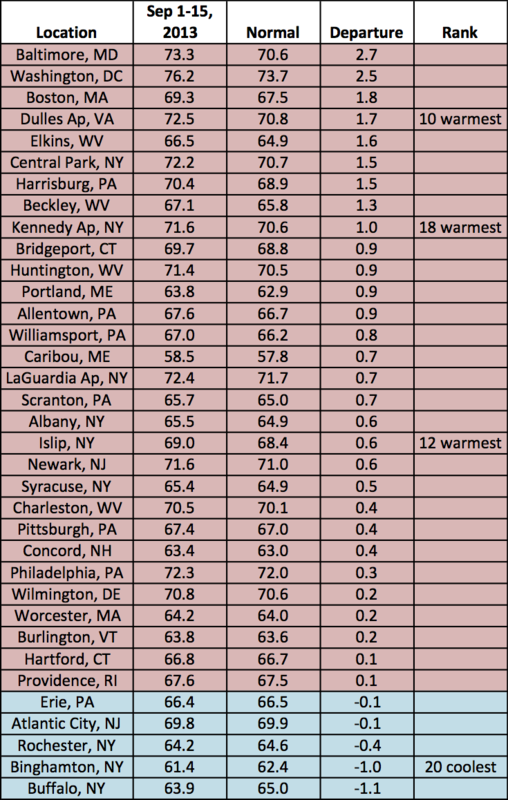 Extremes ranged from 381 percent of normal in Portland, ME, to 13 percent of normal in Harrisburg, PA, and at Dulles Airport, VA.
Halfway through September, 30 of the 35 sites were experiencing above-normal temperatures, with 26 of the sites within one degree of normal.